Overview & specs of Devolo dLAN Duo 500 Powerline Adapter Add-on by Currys PC World. 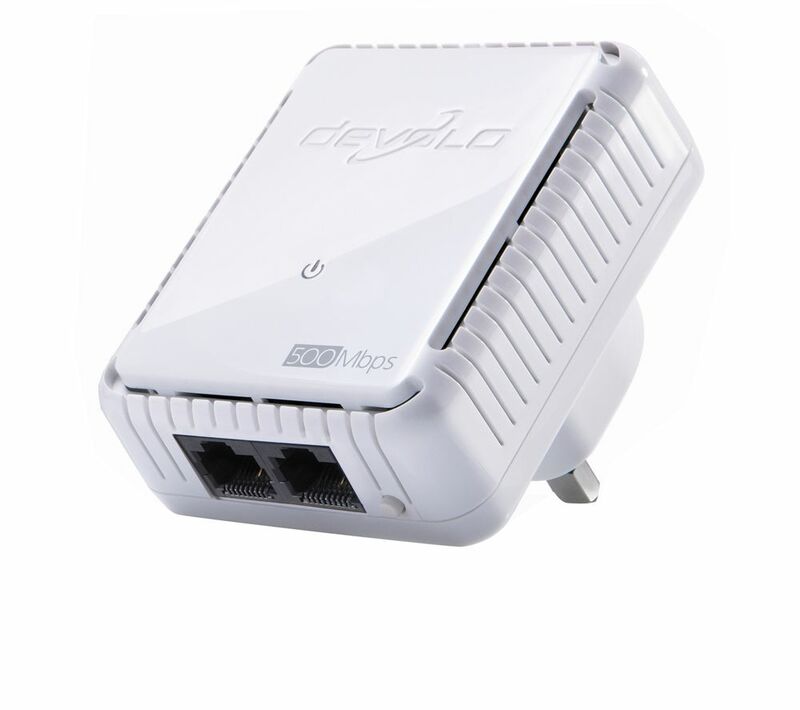 Save space and improve your network's reach with the devolo dLAN Duo 500 Powerline Adapter.Thanks to the two Ethernet ports, the dLAN Duo is perfect for connecting areas of your home that require multiple devices online at once. From a games console and TV to a PC and network hard drive, you no longer need to clutter up your plug sockets with multiple powerline adapters just to stay connected.Plus, a fast transfer speed makes it ideal for activities that demand a fast connection such as streaming TV or playing online games.You can be confident of the safety of your network too thanks to high security encryption that's activated by the simple push of a button.The dLAN Duo 500 is a powerline adapter only and works as an extension to an established powerline network. For a complete powerline kit solution, search for 'Powerline Starter Kits'.Ideal for well connected homes, the devolo dLAN Duo 500 Powerline Adapter is perfect for any demanding online application. We are comparing prices for Devolo dLAN Duo 500 Powerline Adapter Add-on in new condition sold by Currys Pc World, Argos.